Draw attention away from Hezen Protective and destroy House of Winter's presence on the planet. The Hezen Corrective is one of the Vex programming collectives, primarily situated on Venus. The Hezen Corrective can be identified by their plain brass bodies. The Hezen Corrective's chief goal on the planet is to seek out and destroy the House of Winter's presence there (having attempted an invasion of the Fallen lair during Winter's Run). 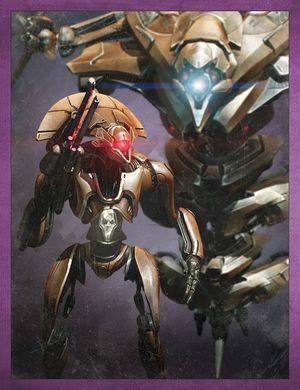 The Corrective, for reasons unknown, has also taken an interest in studying Golden Age technology and that they are involved in occupying areas to make them more suitable for Vex operations. It is also implied that they may even be a strategic ploy - acting as a distraction for the activities of the Hezen Protective.